Welcome to Patagonia Chamonix. 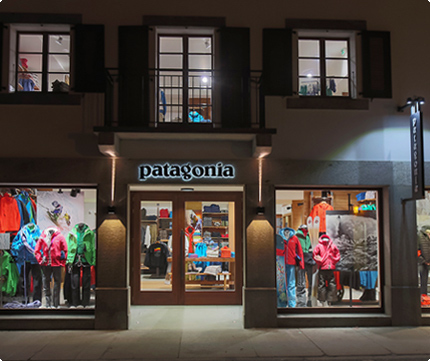 We opened our doors in 1987, as the first Patagonia retail store in Europe. Residing in a building that was once a cycling shop and later sold specialty mountaineering gear, we are fortunate to be in the heart of the Alps. Our international staff is devoted to all means of exploring the mountains. Stop by the next time you find yourself in the shadow of Mont-Blanc! Our store is located on the main street of Chamonix, rue Paccard, which is a pedestrian street. Newly-opened parking lots offer good access.